At Billabong Sanctuary we believe that creating a safe space for students to interact with Australian native wildlife provides them with a genuine learning experience which inspires them to care about conservation of our precious natural resources. Choose Your Own adventure Tour! 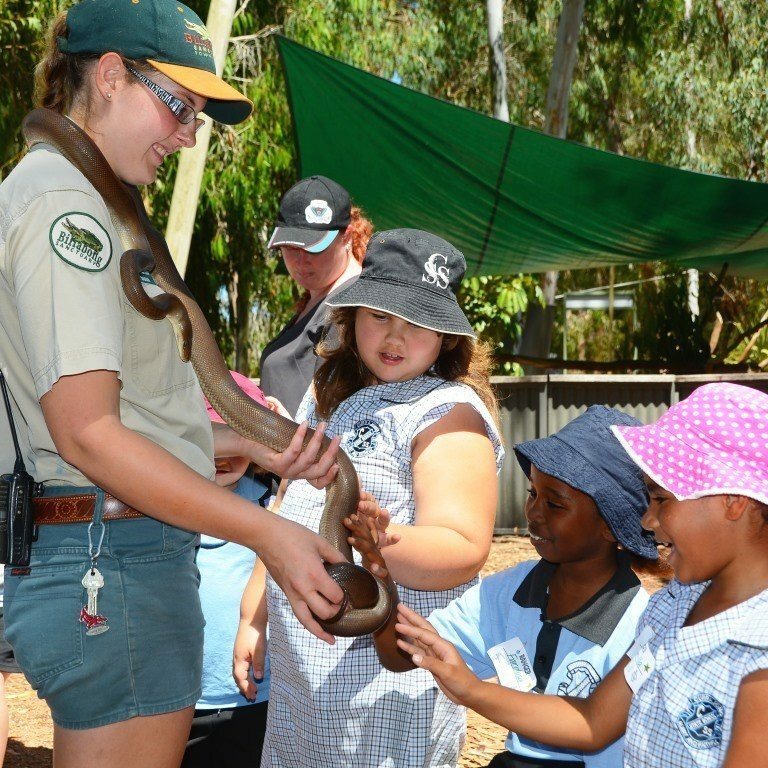 You select 6 of our native animals and your Ranger will talk about and engage with your students at their own level on a variety of selected topics such as animal adaptations, ecosystems or biodiversity, with time for students to interact with each animal. Classes studying related topics such as tourism or geography are also welcome—we will work with you to create a tour that complements your classroom teaching. Our educational tours are based on the Australian Curriculum across all Key Learning Areas and incorporate inquiry-based learning and the 5 E’s model through engaging, exploring and explaining. Please note that Snap Nap is no longer available. We apologize for any inconvenience.